When Joko Widodo came to power in 2014, he promised as Indonesia’s seventh president to usher in a different style of politics to anything the country had seen before. He exuded humility. The son of a woodworker from Central Java, who had suffered the ignominy as a boy of seeing his family serially evicted from their home, Widodo entered municipal politics to make a difference in the lives of ordinary people. He captured the public’s imagination with his modesty; he joined buffet lunch queues, even as president, and flew economy class. His favourite restaurants in his hometown Solo were simple places where the chefs cooked sate kambing (goat satay) out front in large woks and everyone joined each other at long trestle tables. Widodo, 57, even looked the part—his slender frame (he claimed to weigh just 53 kilograms) and his inexpensive attire contributed to a man-of-the-people image. It was not out of character when Jokowi, as he is universally known, rode into the opening ceremony of the Asian Games last August on a scooter, the people’s conveyance. The video went viral. Five years in the presidential palace has eroded the authenticity, but it hasn’t worn off. ‘Especially in the villages, they see him as one of them, as a village guy. He’s wong cilik [ordinary person]’, says a Jakarta businessman, who has taken time off to campaign for Widodo’s Indonesian Democratic Party of Struggle (PDIP) in Central Java. The plebeian background is central to the story of Widodo’s rise—from furniture maker, to mayor of the Central Java city of Solo, then governor of Jakarta and finally president in 2014. It underscores his popularity with working-class Indonesians, especially in his populous home province. It also defines the style of his presidency and the limits of his ambitions in office. Widodo has pursued a utilitarian agenda: stability, security, prosperity. He has focused on improving the physical welfare and livelihoods of his supporters rather than advancing the cause of liberal democracy. He goes into Wednesday’s simultaneous elections for the presidency and parliament as the clear favourite, bolstered by a bigger coalition of political parties than he had five years ago. While the polls have been narrowing, and the campaign team of his opponent, Prabowo Subianto, a retired general and the son-in-law of the late dictator Suharto, contends that they grossly exaggerate Widodo’s position, the average of several shows that Widodo remains comfortably ahead. 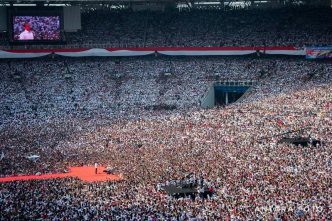 Yet the prospect of a Widodo victory is imbued with less hope and excitement than in 2014 when the final days of the campaign were energised by an army of ‘Jokowi volunteers’. He has since disappointed many of his most ardent admirers and been criticised by civil society activists, academics and journalists for winding back the clock on democracy. The opinions of the Jakarta café set might not overly worry Widodo, although they should. Beyond the elections, whoever emerges as president will find that the political and economic health of the country are deeply entwined. 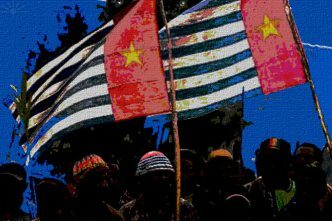 Indonesia’s ability to create new industries and new markets—in other words, new sources of growth—will require strong democracy and the continued opening of the economy, politics and society. President Widodo or President Prabowo will face two deep challenges: first, to reunite the country around the republic’s founding principle of pluralism at a time when identity politics, particularly those centred on religion, have been the source of profound fractures and, second, to embark on more radical structural reform of the economy to find the investment and trade necessary to meet their ambitious growth targets. Widodo’s economic masterplan promises to turn Indonesia into an upper-middle income country by 2025; Prabowo promises growth in the double digits. 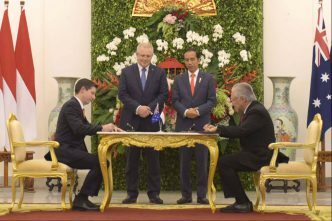 On the political front, one of the strongest critiques of Widodo’s first term is that he failed to protect basic civil liberties and democratic rights. Democracy in Indonesia has been described as stagnating, the result of a range of encroachments on free speech and organisation. 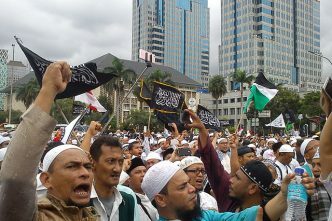 Widodo toughened a law allowing the government to ban mass organisations, ostensibly in order to proscribe the Islamist organisation Hizb ut-Tahrir. But human rights groups say it will restrict freedom of association and expression. Police also were accused of disrupting the peaceful activity of some opposition political groups. And the door was opened for a return of active-duty military officers to civilian government positions. The use of the mass organisations law against an Islamist group in July 2017 came after Widodo’s ally, Basuki Tjahaja Purnama, or ‘Ahok’, an ethnic Chinese Christian and former Jakarta governor, was convicted on charges of blasphemy against Islam. The two developments are the flip sides of a more assertive political Islam and the administration’s efforts to combat it. Each has contributed to a weakening of the quality of democracy. This is far from being a harbinger of the decline of constitutional democracy in Indonesia. The country is a long way from the type of intervention or dire political and economic circumstances that produced the end of the first democratic experiment in the 1950s. Indonesia remains a vibrant multi-party democracy with a high degree of elite and popular endorsement. Nonetheless, whoever occupies the presidential palace faces a big task in building social cohesion. He would be wise to remember that the republic’s founders were convinced the only way to achieve that was by affirming pluralism and social tolerance. The message from the election campaign is that there can be little hope that will happen. Widodo, feeling vulnerable over the religious issue after Ahok’s jailing, sought a running mate with strong Islamic credentials. 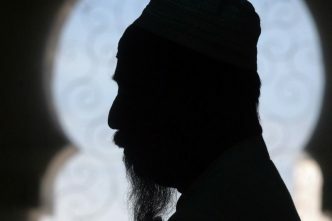 He ended up with an elderly cleric, Ma’ruf Amin, who has espoused a range of conservative interpretations of Islam. Prabowo and his running mate, a wealthy young businessman, Sandiaga Uno, have openly courted the orthodox Islamic vote. In the closing days of the campaign, he drew some big crowds to stadiums, where, hoarse from shouting, he strutted the stage, pounded the lectern, and summoned up a dire picture of Indonesia being plundered by foreign forces. This went over well with his core audience. With neither incumbent nor challenger overly troubled by the finer points of democratic principle, there can be little hope of seeing growth in the quality of democracy in the next five years. Indices of democratic performance have seen Indonesia slip to either ‘partly free’ or ‘flawed’. There’s a risk they will slip further. The second broad challenge is to push structural reform to open the economy to new competition and market opportunities. International Monetary Fund economists have identified three potential drivers of growth in Indonesia—the ‘demographic dividend’ of a young population, the development of a digital economy on the back of a huge population of young social media users, and sustained consumption in China. To take advantage of the opportunity, Indonesia has to reduce disincentives caused by excessive and contradictory regulation, particularly at the municipal level; relax restrictions on markets to encourage trade and investment; wind back a bloated public sector; continue to build infrastructure; and invest heavily in the quality of education and skills. Indonesia has moved up the rankings in the World Bank’s ease of doing business index from 106 in 2016 to 73 in 2019. But the task of further reform is immense. For example, state-owned enterprises have been encouraged to grow under Widodo. Their assets now account for about 50% of GDP, while their return on capital has been falling. Removing impediments to a better functioning economy will require the president to take on vested interests with powerful political connections. The prospects of creating an innovative digital- and tech-capable economy will be greatest in an open society. These are tough political as well as economic decisions. They require an effective democracy. It’s an open question as to whether either candidate has what it takes to deliver. Indonesians saw how the previous president Susilo Bambang Yudhoyono frittered away a second term, occupied more by preserving his public popularity than by taking the tough decisions to secure the quality of democracy, social cohesion and economic progress. Widodo will leave an enduring legacy only by avoiding that trap. As for Prabowo, it’s difficult to read too much into the theatre of campaign performances. His impassioned speeches can be alternately bemusing and deeply troubling. His message, verging on nativism, resonates with a sizeable proportion of Indonesians, but it unnerves potential investors and hints at a future lurch in favour of investment and trade protectionism. 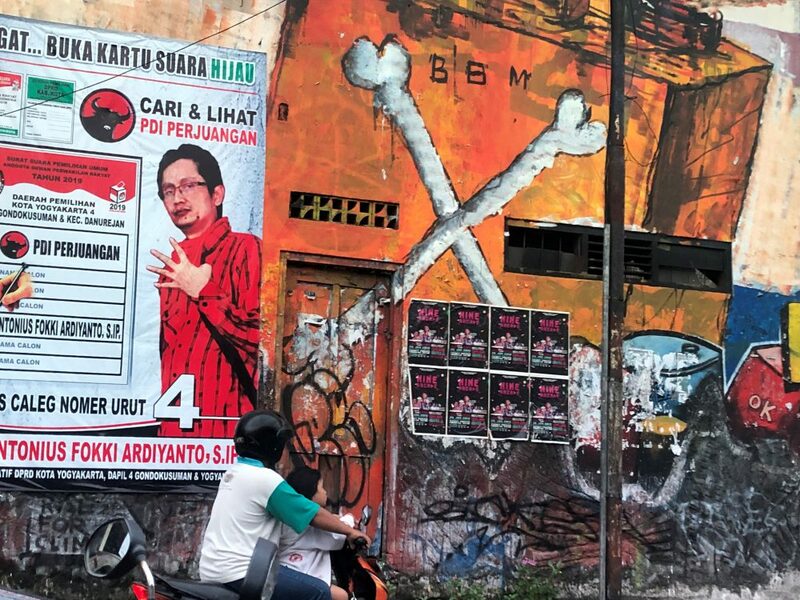 Such populism works well in Indonesia for many of the same reasons it has worked abroad. Widodo’s worry is that come Wednesday it might work too well. Donald Greenlees is a visiting fellow at the Australian National University’s Strategic and Defence Studies Centre and a senior adviser to Asialink. A version of this piece originally appeared on Asialink; it has been republished with kind permission. Image courtesy of the author. Where next for Jemaah Islamiyah?